Welcome to Creative city Yokohama ! “Creative city Yokohama” is a web-based magazine planned, produced, and administered by Yokohama Arts Foundation. 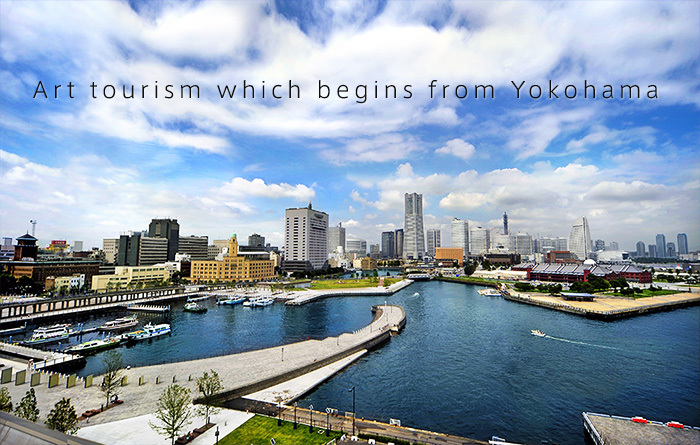 What comes to mind when you think of Yokohama? Most people think of things like Chinatown, Minato Mirai, and the port. But that’s not all Yokohama has to offer. “Creative city Yokohama is packed with people, ideas, and objects that will allow visitors to enjoy “art tourism,” including not only art, drama, and music but local products and cuisine as well. This website is designed to introduce you to art nearby that you can enjoy “Creative city Yokohama, a Yokohama’s creative world. What do we mean by the “Creative city Yokohama? Since the opening of its port at the end of the Edo Period, Yokahama has grown into a unique place, developing a rich food culture as exemplified by its Chinatown and building a cityscape full of multicultural warmth and charm.And now, in 21st century Yokohama, we are moving forward with what we call the “Creative city Project,” which aims to promote urban growth through the arts. We hope to create an art space and creative hub that draws from the inspiration found in art and culture while making use of historical buildings and locations. By supporting creative people including artists, designers, and architects and encouraging them to be a part of the project, we aim to make Yokohama an even more appealing place and continue fostering its growth with a focus on art and creativity.